Trouble finding an affordable Irving locksmith who actually cares about the job? Although there is a locksmith around every corner, so many of them aren’t worth the time or trouble of a phone call, much less your time and money. You’ve come to the right place when you need a locksmith who does things differently than the other guys. We offer automotive, residential and commercial locksmith services and we have an emergency locksmith on hand for those unexpected emergencies in the middle of the night. 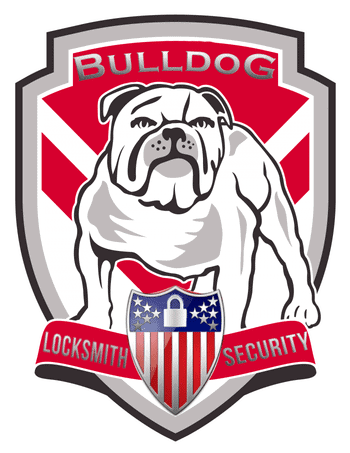 We’re not the only locksmiths in Irving, but we are the only name that you need to know. our locksmith technicians bring old-fashioned values to every job, giving you confidence in a job well done. Some locksmith companies are interested in earning another dollar, not their customers’ needs. We’re not the usual locksmith and we’re proud to be different. You see, we understand to get to the top you must do things differently, do them better, than the next guy. We strive to exceed expectations no matter your needs. There is no job to small or too large for our experts to handle. High-quality locks are an integral part of good business operations. Not only do the locks protect your business from intruders, thieves, burglars, and others, the locks prevent unauthorized access to specific areas of the facility and serve a multitude of additional purposes. We offer a variety of commercial locking systems for every need, including access control systems and high-security locks. Our locks are designed to protect your business without fail and when our expert technicians make the install, it adds more assurance that your company is always protected. If the locks are damaged or have otherwise failed to meet expectations, it minimizes employee productivity and otherwise disrupts your life. It causes unease and interferes with other tasks that you need to complete. Those problems are gone when you pick up the phone and schedule service with our professionals! We specialize in commercial lock repair, offering service for any type of lock and/or problem you’re experiencing. A variety of locksmithing needs can leave you unable to drive your vehicle, interrupting your day and causing stress and frustration. Rather than let such problems weigh down your day, call our automotive locksmith for reliable service. If you’re unable to make it to our Irving locksmith store, we’ll send our mobile locksmith your way. No matter what the time is on the clock, we have trained technicians ready to get you on your way. Vehicle lockout is our most commonly requested service. If your keys are locked inside the car and you’re without a spare or anyone to help, our Irving locksmith is one phone call away. We’ll rush to your location, no matter where you’re at in Irving, fully prepared to get you back into your vehicle and back on the road. We understand the frustrations of a vehicle lockout and provide prompt, reliable service when you need it the most. Our Irving locksmith store offers a variety of quality, affordably priced door locks and keys. When you need a locksmith that strives to be the best, our affordable Irving locksmith is one call away.